adventure enthusiasts, welcome aboard the Macedonian XC Adventure. World class XC Flying Adventure. The Macedonian Alps are also flanked by a huge flat land arena where there always seems to be those fluffy white clouds for some stress free “join-the-dots-flying” This trip is original! This trip is open to all autonomous pilots qualified to at least CP level. The sites we propose to visit all have excellent launches suitable for all pilot levels. We will be aiming to go XC every day, but as with all of our trips its really up to you when (and if) you launch and when you decide to land. Generally, whilst thermic, the conditions are very friendly and accessible for low-air-timers. We also plan, where conditions and time allow to grab some evening soaring flights. The flying arenas in Macedonia have lots of big flat easy landing options. Temperatures during the daytime are usually hot (above 30°C) on the plains but can be a bit chilly when you get up to base. 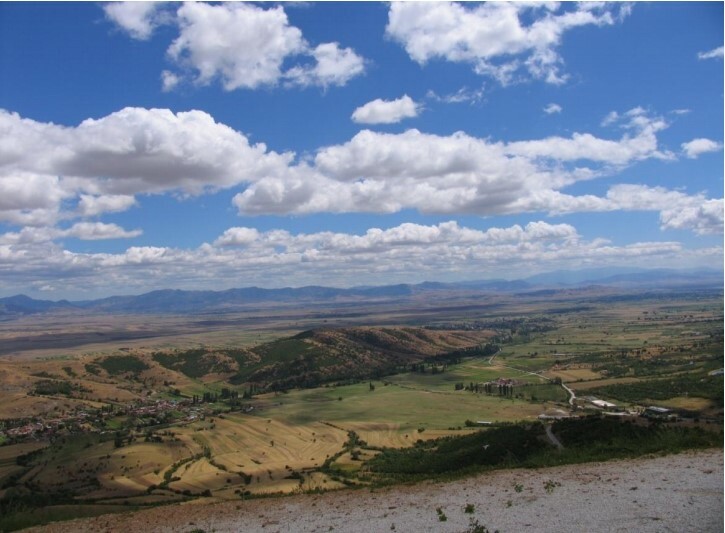 The main area we’ll be exploring is the middle south west part of Macedonia. It’s home to the biggest flat-land area in the country called Pelagonia. Flanked to the north, west and east by three independent mountain chains, the south of Pelagonia opens up to Greece and is thus influenced by the mild Mediterranean climate. July and August is the time of year with the biggest diurnal temperature differences, which typically leads to thermal activity starting at about 10am and going through to 5pm or so. At this time of year, it typically rains about 4 times per month (usually short sharp showers) so like neighbouring Greece, it’s very dry. The prevailing wind is north-west, but strong wind is generally not a problem here. 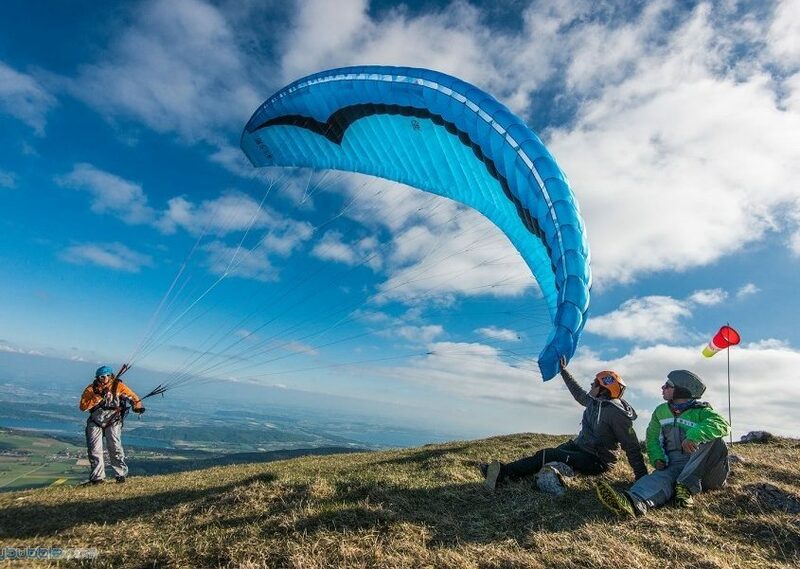 Local east winds set-up in the morning providing exceptionally dependable flying conditions along the mountain chain through the morning. As the north wind feeds into the flat lands later, permanent thermic cycles become established. Weather here is easy to understand and predict. We will be staying in the magical mountain town and living museum of Krusevo at the best hotel in town: Hotel Montana. It’s a fantastic hotel and most rooms have awesome views of Krusevo. For most of the flying we’ll be using the local sites (located an easy ten minutes from the Hotel!). They’re the best and most reliable sites in Macedonia. But we also want to see a little bit of Macedonia so we also hope to visit some other sites, for example, the site at Treskavec (Mount Zlato) and Lake Ohrid (See the photos above). Lake Ohrid is without doubt one of the most beautiful lakes in Europe. Here, pilots regularly achieve XC flights along the mountains running north-south on the west lake-facing slopes. 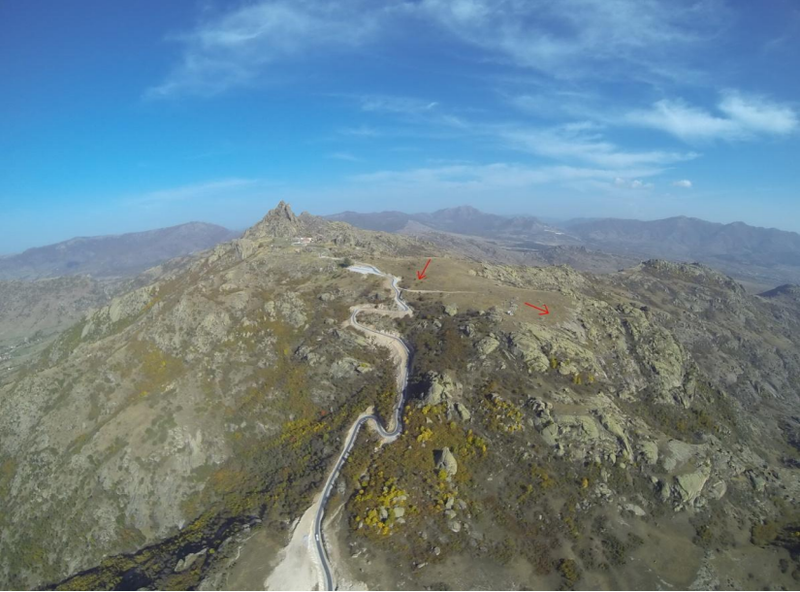 Mount Zlato is home to another great site, where a recently paved road takes us all the way to the 1422m launch right next to the 13th-century Treskavec Monastery. It’s a great evening site and just across the valley from Krusevo. Early morning transfer to Skopje International Airport. Warm clothing for flying. It can get quite chilly up at cloud-base. 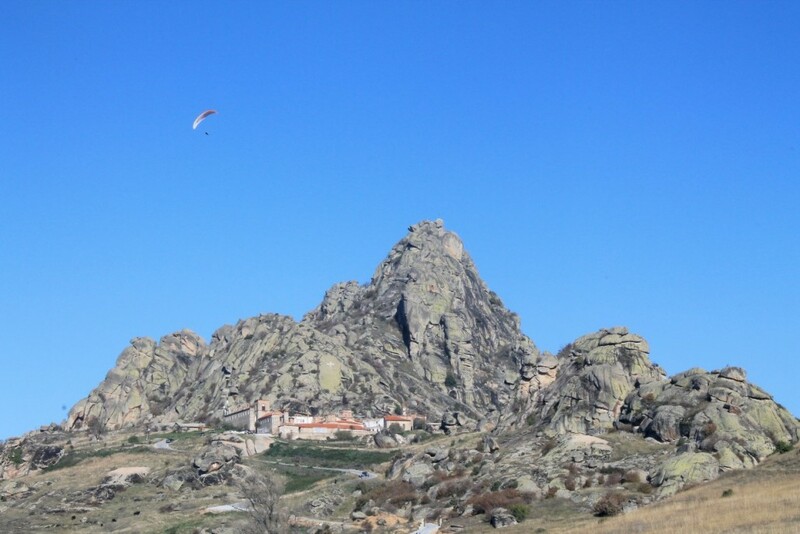 GPS – another very useful paragliding tool though not essential. Camera – Great photos assured. Please book flights to arrive at Skopje (Macedonia’s main airport) on the first day of your safari and depart on the final day to qualify for free airport transfers. For example, if your trip is Saturday to Saturday then your flights should arrive and leave on those days. Flights should arrive by mid afternoon. Please wait for your booking to be accepted before booking flights. Please also let us know your proposed flight times BEFORE booking those flights. Alternatively you might like to spend an extra day or two in Skopje at the beginning or end of your trip. Again, please get in touch if that is your preference. Transfers are all included. We’ll meet you at the airport at the beginning of the week and drop you back there at the end of the week. After clearing customs (a very simple process) you will exit into the main airport lounge where there is a seating area which is where we’ll be waiting to welcome you. If you arrive early, find cash points, toilets and cafés in the waiting area. We require you to have insurance that covers repatriation. 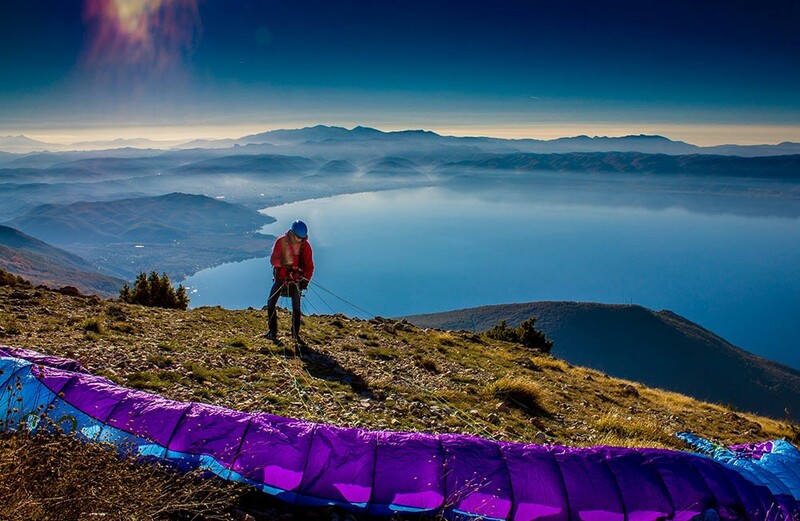 Please make sure that your insurance is valid for Macedonia and of course that paragliding is covered! Please bring insurance documents with you. You will not be allowed to fly without proof of insurance!! Hotel accommodation with breakfast is included in the price of this trip. 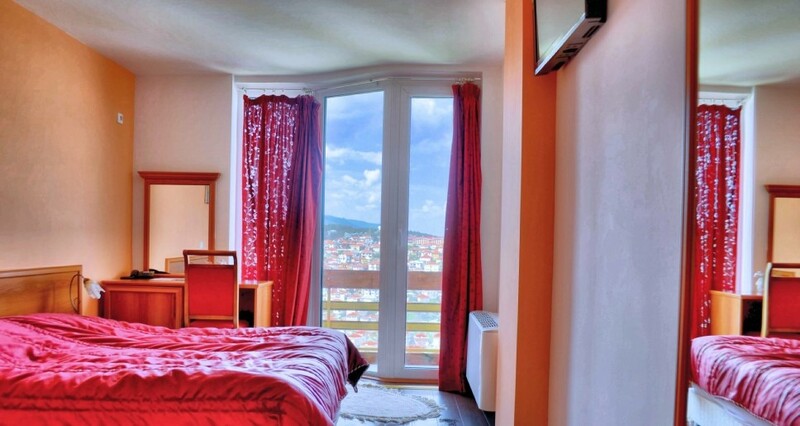 The 3star hotel is located at the top of the small medieval town of Krusevo. It also offers excellent evening meals, a bar and free wifi throughout. Rooms are twin (double rooms for couples). If you’d prefer a single room for the week, there are a limited number available for a small supplement. Please get in touch early to reserve a single room. The Macedonian currency is the dinar. There are about 70 Dinar to the pound or approximately 60 Dinar to the Euro. Probably the easiest and usually the most cost effective way of obtaining local currency is via an ATM at Skopje airport on arrival. There are also ATMs in in the town of Krusevo. Prices for food and beer are generally half (or less) the prices found in West Europe. Safety is our absolute priority. We continually assess flying conditions in our passionate endeavour to keep you as safe as possible. However, please understand that although we will do all we can to ensure your safety, you should know your own level of ability and as a qualified pilot when it comes to flying understand that it is your decision to fly, and yours alone! A basic first aid kit will be kept in the vehicle at all times. Not included are return flights, insurance, lunch and dinner.